Can we escape our past of misery and heartbreak? Is it possible to take control and experience a better today? The answers lie in this simple, yet, practical and effective devotional that will inspire you to break free and teach you how to stay free. 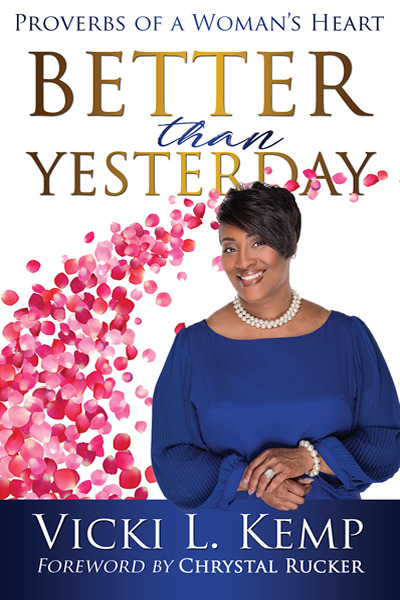 If you desire to let go and move from a life of rejection to acceptance, want your todays to exceed your yesterdays, and journey to a brighter future, this book is for you. It will motivate you to turn what you thought were impossibilities into possibilities. You will learn how to start the process of healing, take control of your mind, improve your relationships, and develop deeper intimacy with God. As you apply the truths outlined and complete the exercises, you will tap into the source of power you need to make your today much better than yesterday.